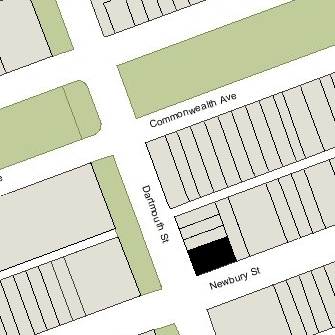 277 Dartmouth (147 Newbury) is located on the NE corner of Dartmouth and Newbury, with 279 Dartmouth to the north, 265-273 Dartmouth to the south, across Newbury, 143 Newbury to the east, and 278 Dartmouth (149 Newbury) to the west, across Dartmouth. 277 Dartmouth was designed by architect J. Pickering Putnam and built in 1878-1879 for his mother, Mrs. Harriet (Upham) Putnam, the widow of John Pickering Putnam. He and his sister, Sarah Gooll Putnam, a portrait artist, lived with her. They all previously had lived at 78 Marlborough. Harriet Putnam also maintained a home in Nahant. Harriet Putnam purchased the land for 277 Dartmouth on December 2, 1878, from attorney Harvey Jewell. He had purchased the lot on January 24, 1872, from Charles Austin Wood, an insurance agent and real estate investor, and the original owner of the Hotel Vendôme. It was the southern portion of a parcel he had purchased from the Commonwealth of Massachusetts on November 15, 1870. On the same day he purchased the parcel, Charles Wood had sold the northern portion to builder James Standish, who built 279-281-283 Dartmouth on the land. Click here for an index to the deeds for 277 Dartmouth. J. Pickering Putnam married in June of 1885 to Grace Cornelia Stevens. 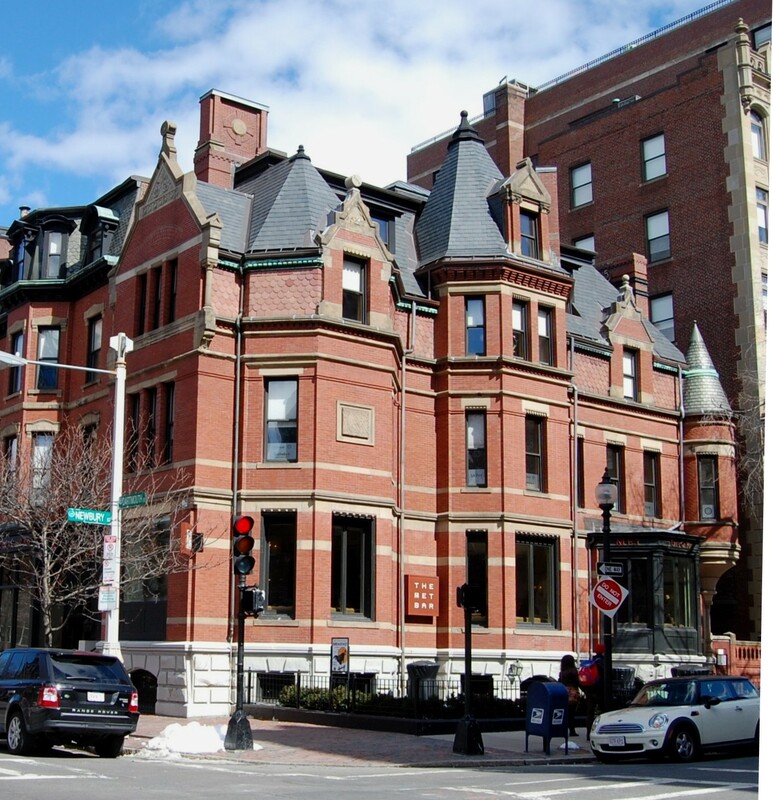 After their marriage, they lived at the Hotel Berkeley (southeast corner of Berkeley and Boylston). By the 1899-1900 winter season, and probably before, Harriet Putnam had been joined at 277 Dartmouth by her daughter, Mrs. Mary Upham (Putnam) Fearing. Mary Fearing was living apart from her husband, retired stockbroker Charles Frederick Fearing, who traveled extensively. He died in April of 1901. Harriet Putnam died in May of 1905. Following their mother’s death, Mary Fearing and Sarah Putnam traveled abroad. 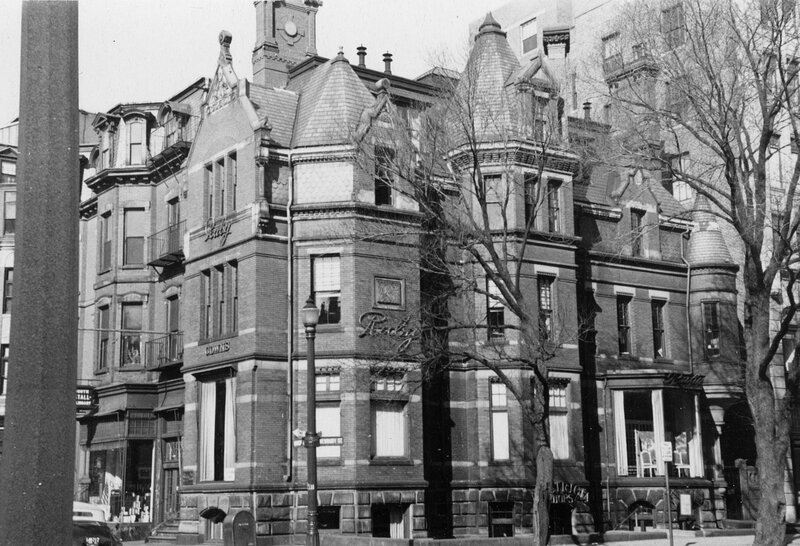 By 1909, they were living at The Charlesgate at 535 Beacon with their brother and sister-in-law, J. Pickering and Grace Cornelia Putnam (he had designed The Charlesgate and was one of its owners). By 1911, Mary Fearing and Sarah Putnam had moved to 333 Beacon. 277 Dartmouth was not listed in the 1906 Blue Book. By the 1906-1907 winter season, 277 Dartmouth had been leased from Harriet Putnam’s estate by Mrs. Mary (May) Adeline (Bradbury) Estes, former wife of Prince Joseph Estes, and had become a combination of medical offices and lodgings under Mrs. Estes’s management. She had lived and operated a lodging house at 281 Dartmouth from about 1898, and from 1900 had also rented 279 Dartmouth, where she also ran a lodging house. Mary Estes continued to operate a lodging house at 277-279-281 Dartmouth during the 1909-1910 winter season. In addition, from about 1907, Drs. Alexander Quackenboss and Samuel W. Langmaid maintained their offices at 277 Dartmouth. They had moved to 143 Newbury by 1911. On April 4, 1910, 277 Dartmouth was purchased from Harriet Putnam’s estate by Mary Ella (Ruby) Morrison, the wife of architect William Langley Morrison. Mary Estes continued to operate a lodging house at 279-281 Dartmouth. After acquiring the property, Mary Morrison remodeled the basement and first floor to provide for a dress shop, millinery shop, and workroom. Plans for the remodeling are included in the City of Boston Blueprints Collection in the Boston Public Library’s Arts Department (reference BIN D-55, shown as A-63 on the plans). By 1911, it had become the home of Mrs. Morrison’s mother, Ann (Kennard) Ruby, the widow of James Ruby, and also the location of Mary Morrison’s import and dressmaking shop, Mary Ruby, Inc. The Morrisons had lived at 11 Commonwealth in 1909. They had moved to 127 Revere in about 1910, and continued to live there in 1911, and then lived at 280 Dartmouth during the 1911-1912 winter season. In February of 1912, Mary Morrison acquired 279 Dartmouth, and she and her husband had made it their home. Mary Estes continued to live and operate a lodging house at 281 Dartmouth. William Langley Morrison died in April of 1915. Mary Morrison continued to live at 279 Dartmouth and operate Mary Ruby, Inc., at 277 Dartmouth. Her mother lived with her until her death in January of 1931. Mary Morrison’s daughter, Mary Langley Morrison, an architect and interior designer, also lived with her. She married in the late 1920s to John E. Kennedy, a broker and later an advertising agency executive. They lived at 97 Mt. Vernon after their marriage, but had joined Mary Morrison at 279 Dartmouth by 1932. Below is a panoramic view taken ca. 1903, with 277-281 Dartmouth on the left and the Hotel Victoria at 273 Dartmouth in the center; photograph by E. Chickering & Co., provided courtesy of the Library of Congress.